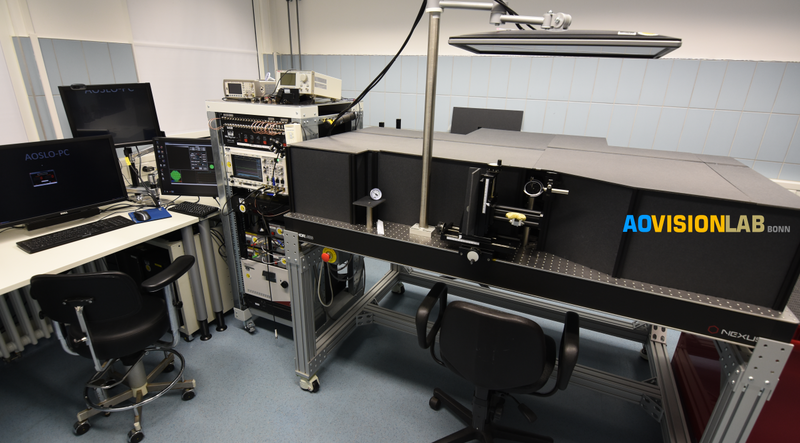 The Bonn Adaptive Optics and Vision Laboratory is a research lab at the University Eye Hospital in Bonn, Germany, funded by the Emmy Noether Program of the German Research Foundation. We use adaptive optics imaging techniques to create high resolution images of the living human retina. 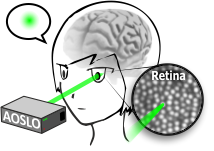 By means of fast optical light switching and real-time compensation for retinal motion, we are able to target and stimulate individual photoreceptor cells for extremely precise visual function testing. Continue reading on the Research pages. If you have come to find our PubMed referenced directory of retinal pathologies studied with adaptive optics, please click on the below buttons to download (XLS or PDF format). 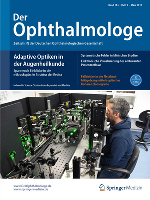 A photo of our AOSLO system is featured on the cover of the March 2017 issue of Der Ophthalmologe. 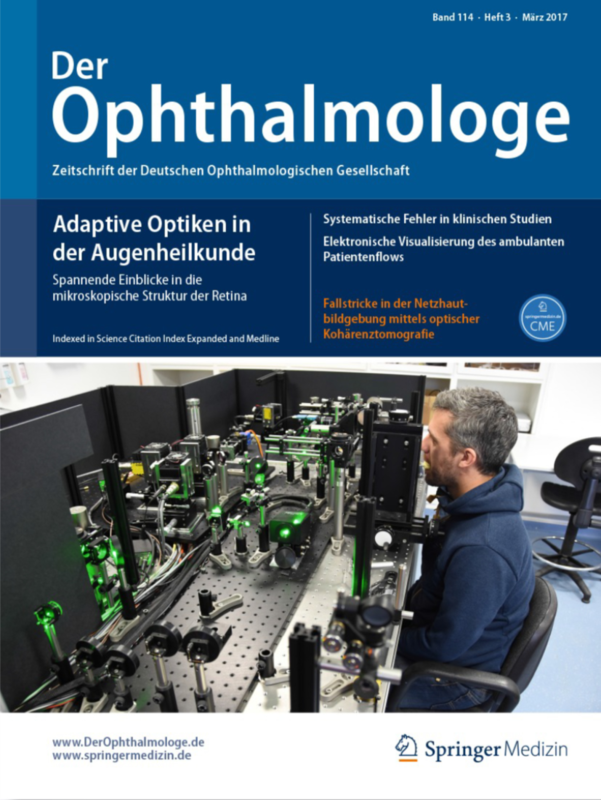 Reiniger et al., Technical principles of adaptive optics in ophthalmology. Domdei et al., Histology in the living eye. We are looking for study participants! Studienteilnehmer gesucht! 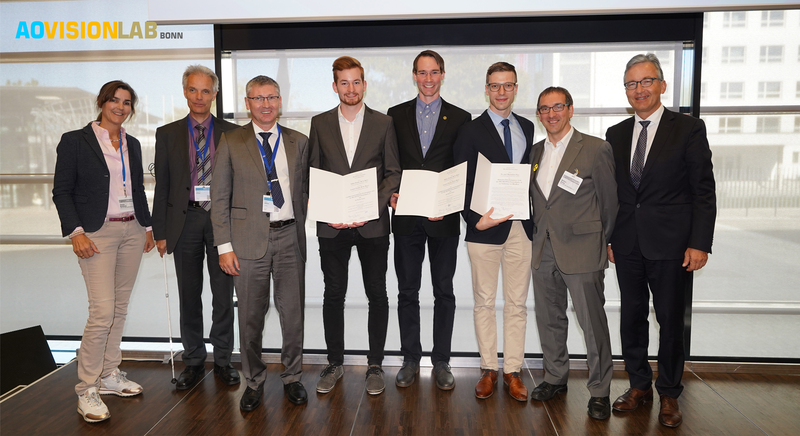 Niklas and Lennart Domdei receive the ProRetina Forschungsförderpreis at the DOG 2018, Bonn. Lennart Domdei starts his Master thesis work in the lab on binocular SLO. Welcome back, Lennart!